When a lobster whistles on top of a mountain. The folks at the TED Talks blog went around asking translators what their favorite idioms were from other cultures. The results are awesome. It’s also interesting to see how many of them use animal imagery. The idioms from Japan are almost all about cats. (For instance, “cat’s forehead” is a very small space, often used to describe one’s property in self-deprecating terms. I might start using this one.) Many of them are about wolves, because, I suppose, wolves were a real issue in medieval Europe (or so picture books would have me believe). I love the Russian ones the best, I think, and the Slavic ones. I could see “when a lobster whistles on top of a mountain” catching on pretty easily in Maine, seeing as we have a lot of lobsters and some pretty gorgeous mountains. 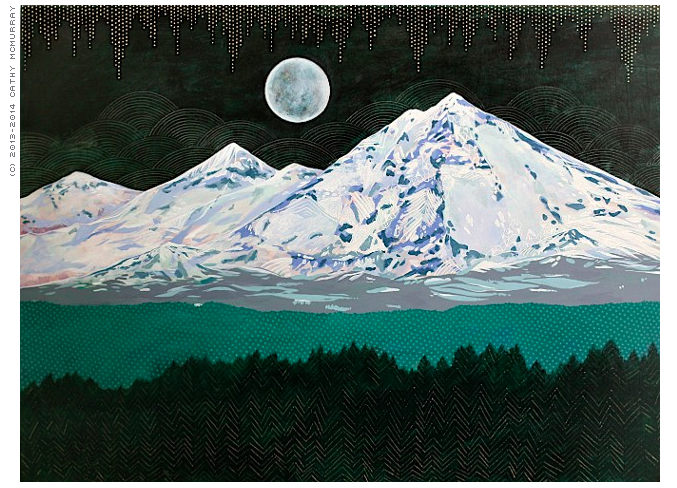 Speaking of mountains, the picture above is actually of the other coast by Portland-based (again, other Portland) artist Cathy McMurray. I am completely in love with her style—the big blocks of color mixed with intricate, repetitive detail—and I actually own a few of her prints. Go check her out here. 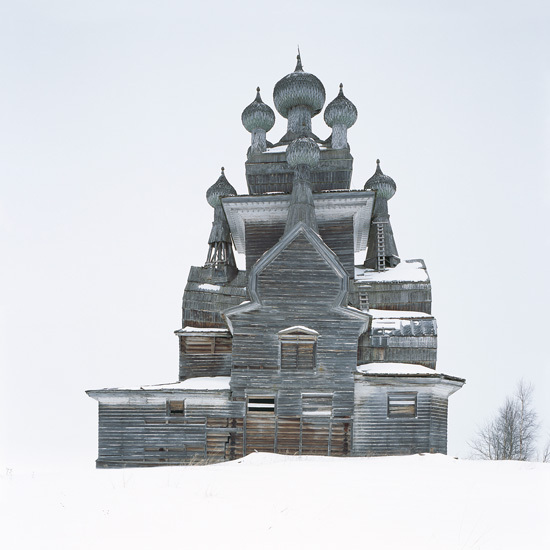 There are few places I want to visit more than Russia. Maybe I’ve just read Anna Karenina one too many times (no, that’s not possible), but if I were to suddenly fall into a Scrooge McDuck-style pile of money, I would spend it all on a ticket to Russia. If I could go to Russia, I would want to see everything—not just the cities, though Saint Petersburg looks like magic made of stone—and I mean everything. I want to ride the Transsiberian railroad and stare out at all the miles of quiet, scarcely inhabited land. Oddly enough, my desire was only amplified by this recent story from the Smithsonian about a family that lived in the wilderness of Siberia for over 40 years without any human contact. Driven from society by religious persecution, the family of five survived off the land, hunting for meat and dining on bark when there was no better food to be found. It’s really, truly fascinating (not to mention strangely inspiring).